It is not often I see a sports car in/around Monaco and I don’t know what make of car it is, however last Thursday was one of those rare occasions. I had to have a look at the car’s badge before I knew. 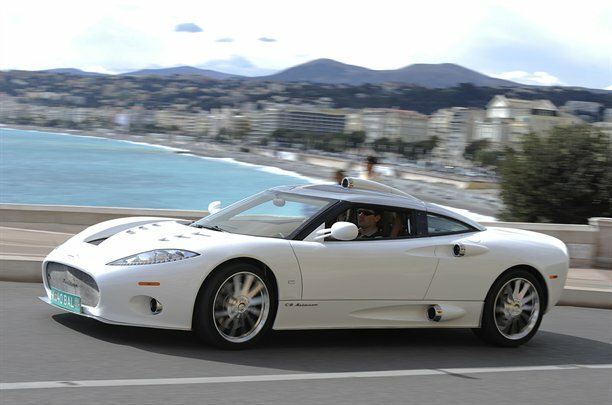 It turns out that Autocar magazine were test driving the Spyker C8 Aileron around the Cote d’Azur and Spyker were probably also showing the car to a few important customers in Monaco. This car costs ~£200,000 (over €220,000), has 395bhp and does 0-60mph in 4.5 seconds. Not enough power for my liking, but it only weighs 1400kgs. Even so, for that price it should be capable of 200mph which it isn’t. 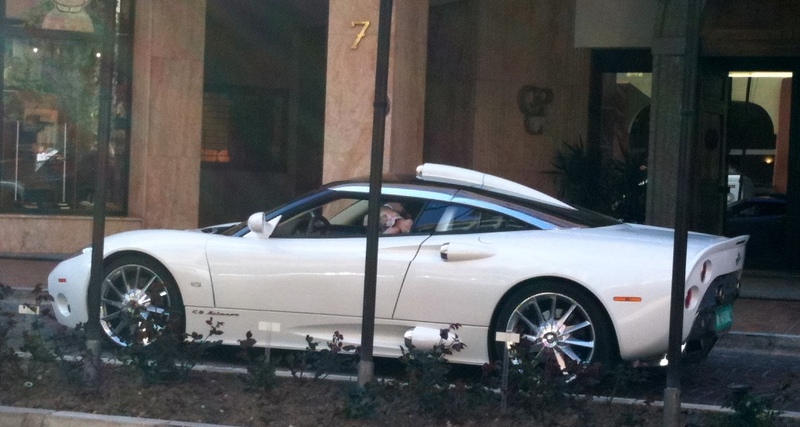 What it that money does guarantee is that you will be stared at wherever you drive it. Everyone is used to luxury cars in Monaco, but to my knowledge this was the only time the Spyker C8 Aileron drove around the Principality. The price also includes some custom-made Louis Vuitton luggage to carry your gold bars around in. Definitely a cool car, just a pity about the power.